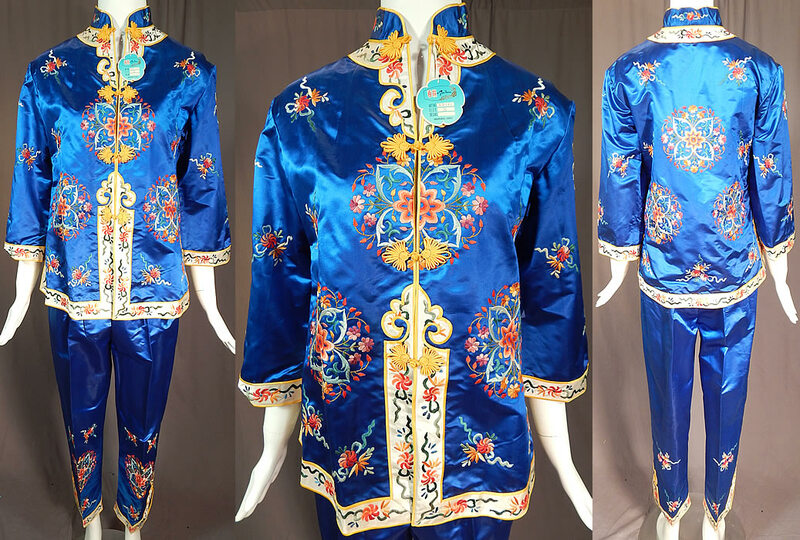 This vintage Bai hua Chinese blue silk rayon embroidered pajamas, pants, robe NWT dates from the 1960s. 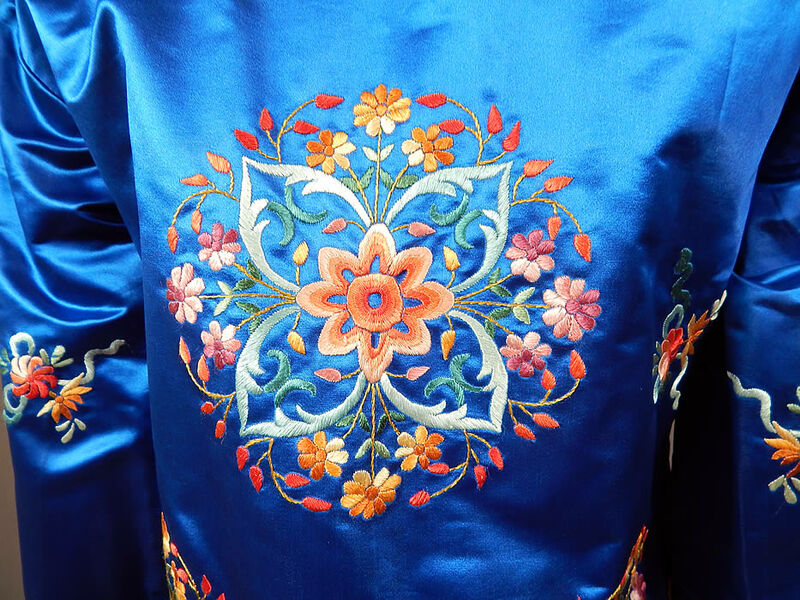 It is made of a royal bright blue color silk rayon blend fabric, with colorful embroidery work of flowers done in roundel medallions. 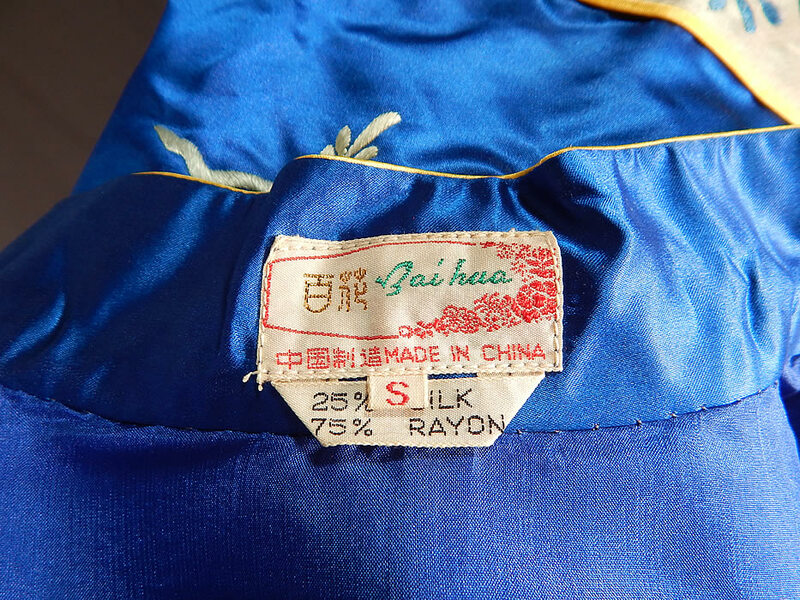 This perfect pajama ensemble has a mid length short surcoat style robe jacket, with a mandarin collar, long full sleeves, with white silk colorful embroidered cuffs, trim edging, yellow knotted button toggle trim closures down the front and is fully lined, with a "Bia hua Made in China" label and size Small tag sewn inside. 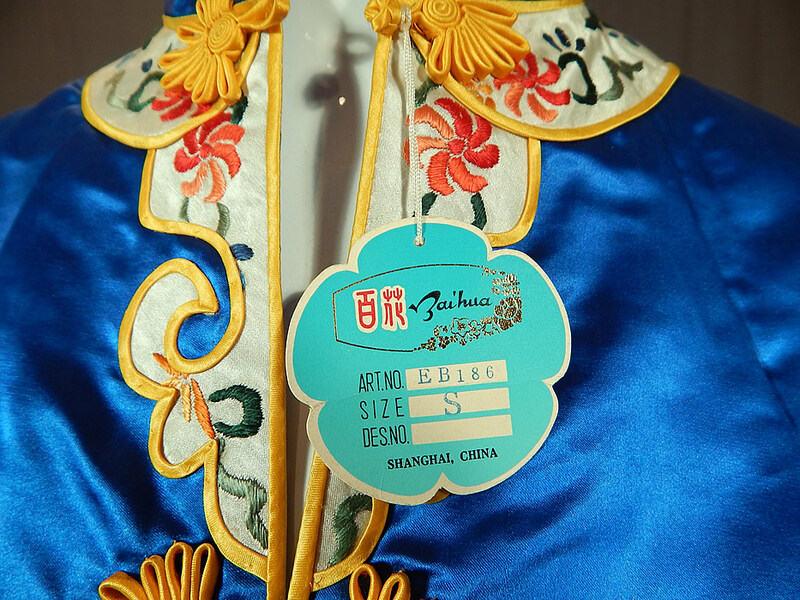 The robe measures 25 inches long, with a 36 inch bust and 34 inch waist. 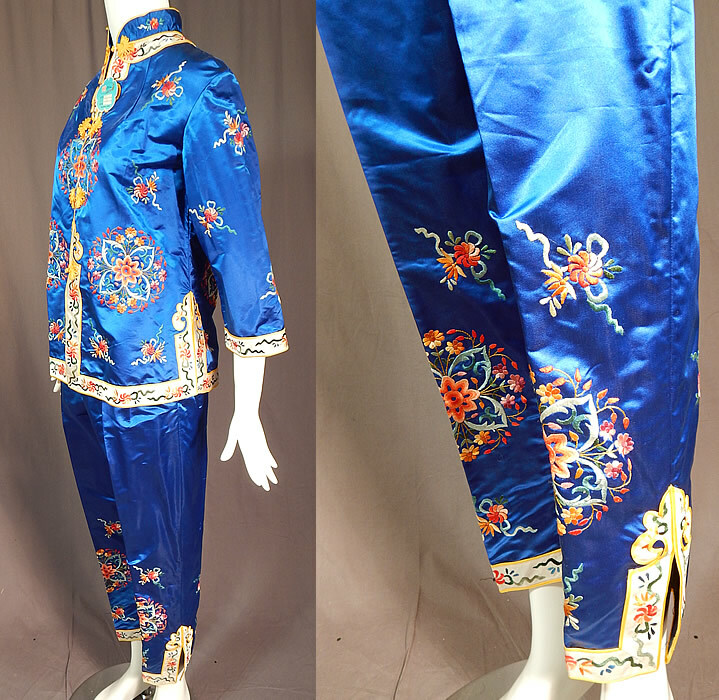 There are matching embroidered pants, with a wide waistband, adjustable side button, snap closures and back elastic band. 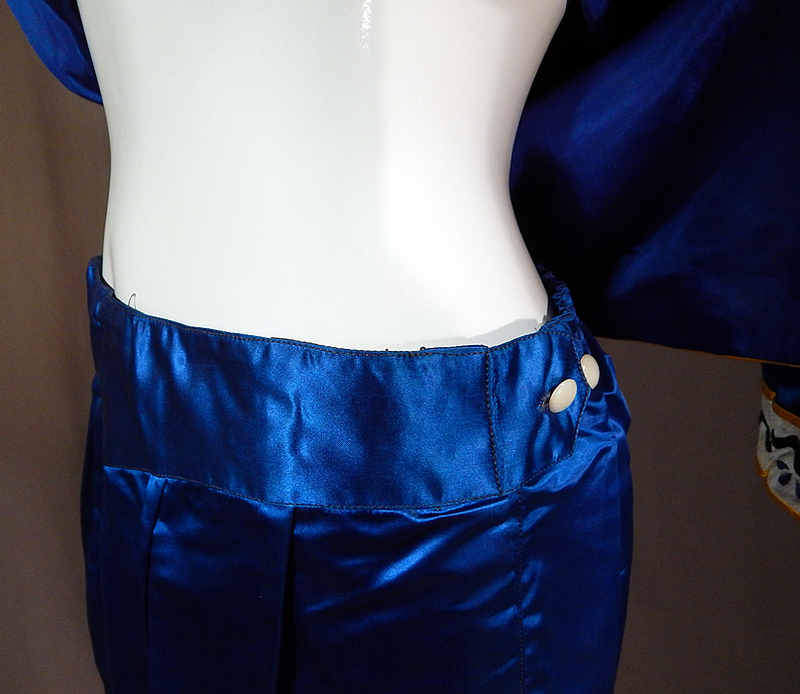 The pants measure 37 inches long, with a 25 inch inseam, 28 inch waist and 44 inch hips. It is in excellent unworn condition and still has the original paper tag attached on the top. 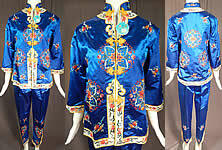 This is truly a wonderful piece of wearable antique Chinese textile art!